When Jaguar drivers need auto repair, they rely on the auto mechanics at Mancinelli’s Auto Repair Center in Downtown Denver. 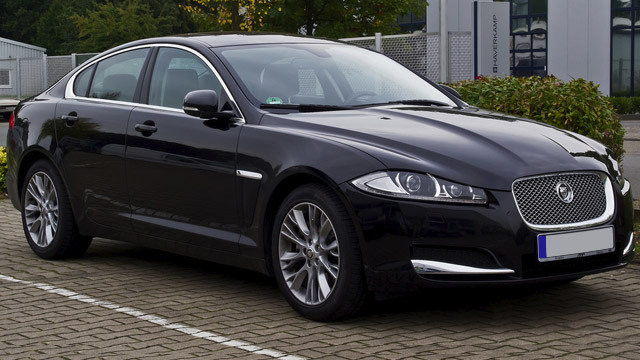 Bring your Jaguar to us, and we will properly service and repair your vehicle. Upon arrival, we will perform a thorough inspection, and if we come across anything, we will discuss the results with you, providing you with honest and upfront advice. Your Jaguar is an exquisite vehicle, designed for performance and luxury. And it can be a challenge to find an auto repair shop with the right tools, technology, and expertise to service and repair them. Fortunately, our team at Mancinelli’s Auto Repair Center, located in Downtown Denver, can service and repair your Jaguar. Our technicians attend a minimum of 60 hours of training per year, so we can continue to provide you with quick and accurate Jaguar service. “I have 4 vehicles to keep up with, and Mancinelli's is the place to do that. They can do complex work efficiently and reasonably, or they can do a quick oil change as well. They are honest, telling me what needs to be done, but also what doesn't need to be done, after their evaluation. The quotes are clear, concise and Mike takes care of explaining things clearly. I've never, in 50 years of driving, gotten a thank you note in the mail after taking one of my cars in.......until now. A really nice touch! !” -- Ruthann Z. When you arrive at our auto repair shop in Downtown Denver for Jaguar service, our auto mechanics will perform a digital inspection, searching for any sign, big or small, of trouble. And when you leave, we will send you off with a safe and reliable vehicle, popcorn, emery boards, post-it notes, and chapstick. With Mancinelli’s Auto Repair Center, it is all about the little things. Please call us, schedule an appointment, or visit us. We’re located at 375 Logan Street, Denver, CO 80203, and are open Monday through Friday, from 7:00 a.m. - 5:00 p.m.